Animal welfare is a rising global concern, but the lines over whether animals should have the same rights and welfare as humans are becoming increasingly blurred. Richard Seymourfinds that Alasdair Cochrane’s book offers a fascinating review of the issue. A worthy and absorbing read for newcomers and those familiar with the literature. 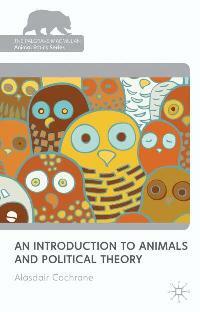 An Introduction to Animals and Political Theory. Alasdair Cochrane. Palgrave Macmillan. October 2010. Are storks the subjects of justice? Do tuna have rights? The fact that these questions may strike us as surprising is an example of how our relationships with other animals have been under-theorised in most political traditions. Alasdair Cochrane, lecturer in human rights at LSE, sheds light on this neglected field of political discourse, ranging from the musings of Pythagoras, to the recent writings of animal liberation philosopher Peter Singer. In an era where animal welfare is a rising concern globally yet the worldwide consumption of animals as meat continues to grow exponentially, the book offers a refreshing and comprehensive overview of a highly interesting issue. Cochrane’s assessment is that the political traditions of utilitarianism, liberalism, Marxism and feminism all offer resources for those who want to extend justice to animals, but their adherents have only rarely been interested in doing so. Of the Greek philosophers, Plato had nothing to say about justice for animals. Aristotle believed that only humans, as ‘rational animals’, were appropriate for inclusion in the polity, although did not make the mistake of early moderns such as Descartes in imposing a radical separation between ‘man and beast’. This exclusion of animals, based on their supposed inability to reason, continued through the contract theory of Hobbes, Locke and Rousseau. Liberal thought has constructed ‘personhood’, the subject of justice, in such a way as to debar animals. It is, says Cochrane, the emergence of an alternative standard of justice, based on welfare, that the possibility of animal rights is properly inaugurated. In the thought of Utilitarians such as Jeremy Bentham and John Stuart Mill, non-human animals can be subjects of rights and obligations because of their capacity for happiness and pain: their sentience. It is on this basis that Peter Singer’s defence of animal rights is articulated. Singer maintains that the widespread exclusion of animal rights is a form of species supremacism no different in essence from racism or sexism. This is not to say that all animals should be treated equally; simply that they should not be excluded from the claims of justice. Moreover, their ‘interests’, their ability to feel pain, should be weighed equally. Emancipatory ideologies should, in theory, be well-placed to handle animal rights. But that isn’t always necessarily so. Marxism, for example, is a profoundly humanist doctrine, not known for its concern with animal rights. There are resources within Marxism for addressing animal rights, emphasising their exploitation and un-freedom, but that depends on Marxists being convinced that there is anything illegitimate about the exploitation and un-freedom of animals. This is an unfortunate lapse in an otherwise fascinating review, because the inter-dependence of all animals, the relations between the oppression of human and non-human animals, is potentially one of the most productive areas of inquiry. It is also potentially a compelling motive for giving this subject its due attention. Overall, a worthy and absorbing read.It is among feminists that some of the most intriguing and telling writing on animals has been produced. Carolyn Merchant famously argued that the subjugation of nature heralded by the ‘scientific revolution’ and its major apostles such as Francis Bacon, was bound up with the emergence of a violent patriarchy. The exploitation of animals is thus an expression of masculinist assertion over a feminised earth. Similarly, Carol Adams maintained that the reduction of animals to ‘meat’ for consumption is part of modern masculinity, and of the same process that reduces women to ‘meat’ for consumption. However, Cochrane’s treatment of Adams, and of the feminist argument in general, errs on the side of glibness. Some of his criticisms – vegetarians, he informs us, can also be misogynists – miss the point entirely. This review was first published on the LSE British Politics and Policy blog on 12th December 2012. Richard Seymour is a PhD student in the Sociology department at LSE. He also runs the Lenin’s Tomb blog, and is author of The Meaning of David Cameron and The Liberal Defence of Murder. Read more reviews by Richard.